Welcome to Strictly Organic Coffee Co.
We serve and deliver Certified Organic and Fair Trade coffees to people who care about the world's environment, its people, and the coffee they enjoy. Located in Bend, Oregon, Strictly Organic Coffee is your own personal source for sustainable coffees. We roast the best USDA Organic Fair Trade beans available. Place an order and we'll roast it and ship it to you anywhere around the globe. If you happen to live in Bend, Oregon, we deliver! Our coffee shop and café is a cozy place to spend some time. 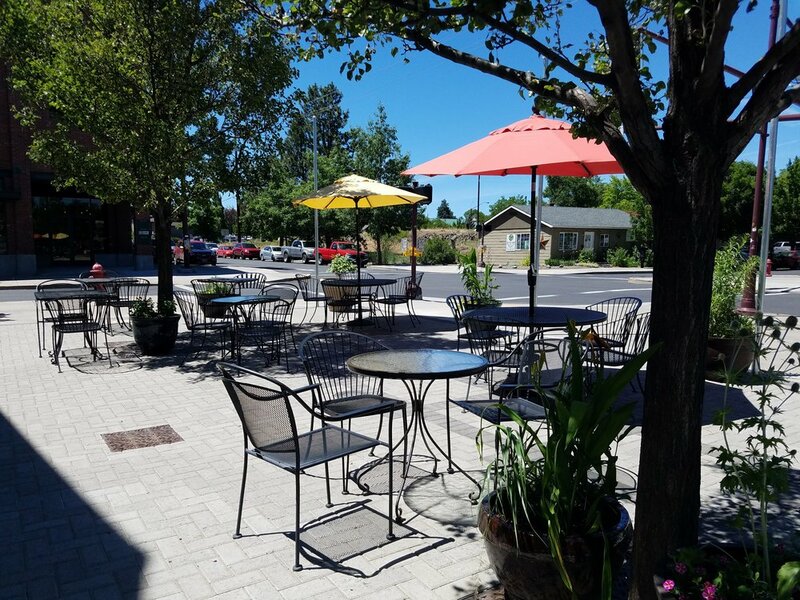 Enjoy the convenience of our full kitchen, free wireless and bottomless drip coffee, sit by the mural while you watch the coffee being roasted and packaged or watch the world go by on our spacious patio. Breakfast served all day. Our espresso bar offers free wireless and bottomless drip coffee in the heart of the Old Mill District right by the footbridge. Try our tasty and quick breakfast and lunch selections created just for our Old Mill store. 100% Organic Roasted Hazelnuts Certified Organic by Oregon Tilth. Grown in Oregon and roasted to perfection at our Bond Street location.